With confirmation by the Department of Energy (DoE) that another 13 solar photovoltaic (PV) and wind projects had been added to the 13 already selected in mid-April under the fourth bid window of the Renewable Energy Independent Power Producer Procurement Programme (REIPPPP), attention is now turning to the so-called “expedited” round designed to secure additional renewables projects in the near term. 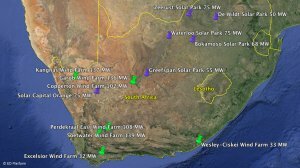 Energy Minister Tina Joemat-Pettersson reported in a statement and in advertisements that the additional preferred bidders would collectively add another 1 084 MW to the grid, over and above the 5 243 MW already procured under South Africa’s highly-rated REIPPPP competitive-bidding framework. 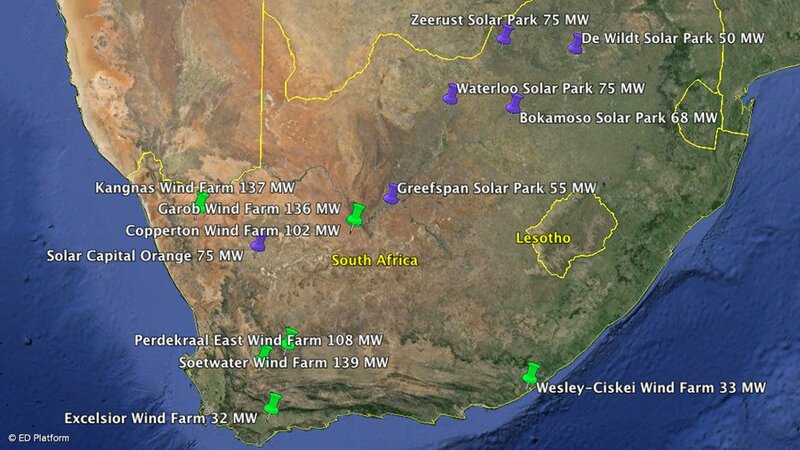 In total 92 renewables projects had, to date, been procured since the announcement of the first REIPPPP preferred bidders in late 2012 and the DoE indicates that programme had also resulted in investment commitments so far of R193-billion. 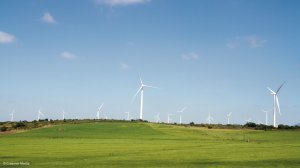 The additional bid-window-four projects include seven onshore wind and six solar PV developments including: the 139 MW Soetwater wind farm; the 137 MW Kangnas wind project; the 108 MW Perdekraal East project; the 32 MW Excelsior wind energy facility; 33 MW Wesley-Ciskei project; the 102 MW Copperton wind farm, the 136 MW Garob wind farm, the 75 MW Solar Capital Orange project; the 50 MW De Wildt solar project; the 68 MW Bokamoso solar project; 75 MW Zeerust development; the 55 MW Greefspan PV Power Plant Number Two solar park; and the 75 MW Waterloo solar park. 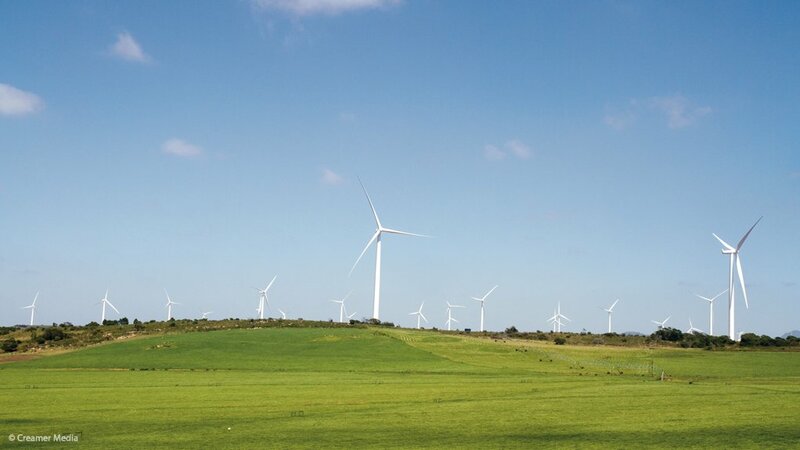 The allocation for bid-window four was enlarged owing to the competitive nature of the 77 bids received, but Joemat-Pettersson had also indicated that a ‘Request for Further Proposals’ would be released to secure 1 800 MW more on an accelerated, or expedited, programme. Bidding would be open, but not exclusively so, to unsuccessful bidders from all previous bid windows and once the mop-up processes were completed, the tender documentation would be redesigned ahead of a fifth bid submission phase. Joemat-Pettersson confirmed recently that she had submitted documentation to the National Energy Regulator of South Africa to secure its concurrence to enable the DoE to procure an additional 6 300 MW of renewable energy. Deputy director-general for policy, planning and clean energy Ompi Aphane also stressed that the IPP procurement programmes had been extended beyond renewable energy to coal, gas, cogeneration, as well as energy-efficiency and demand-side initiatives. The DoE recently issued a request for bids under the cogeneration independent power producer (IPP) procurement programme, but had extended the deadline for the Coal Baseload IPP procurement programme to August, from an initial date of June. A request for information (RFI) for gas-fired electricity generation was also issued in May, with the outcome set to guide the design of a 3 126 MW ‘Gas to Power Procurement Programme’. RFI responses must be submitted to the DoE by July 20, 2015.